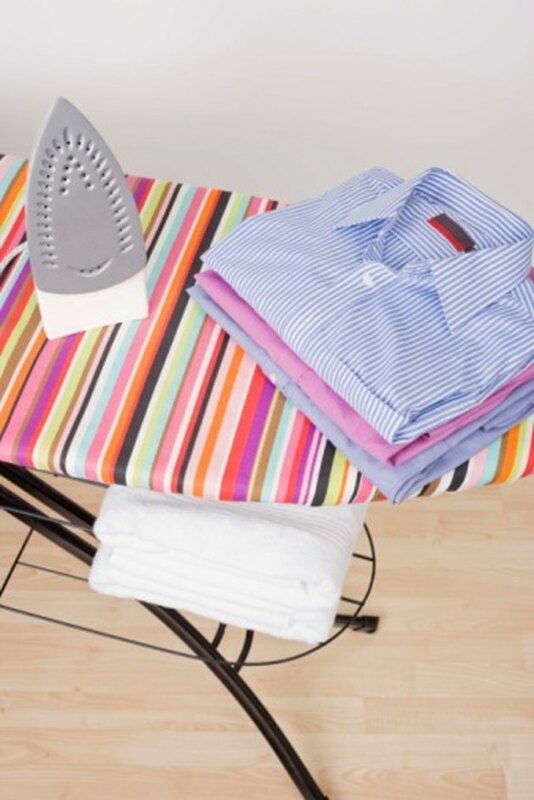 A steam iron removes wrinkles from clothing and other fabrics, such as curtains and sheets. Either find a standard flat iron that comes with the ability to emit steam or purchase a unit dedicated solely to steaming fabrics. While a steam iron is a convenient tool in many cases, it does come with some disadvantages. Learn the downsides of using a steam iron. When you use a steam iron, you have to refill the water tank frequently. When the unit runs out of water, it cannot produce steam. The extra required step of filling the tank with water at each use may be inconvenient—especially if the iron has a small reservoir. Reduce the need for trips to the faucet by keeping a large gallon of water near the steam iron for refills. While you can steam many types of fabrics, such as linen and cotton, without a problem, you may have a problem getting the wrinkles out of heavier cloths such as polyester blends and wool. Steam is not enough to relax the creases in heavy fabrics. You may need a standard iron on very high heat instead. Also, a steam iron can damage or change the color of some delicate fabrics if you leave the steam on for too long. Another disadvantage a steam iron is that water sometimes drips out of the unit. In some cases, openings around the water reservoir of the iron may allow small amounts of liquid to leak out instead of turning into steam. The water, which is usually very hot, can drip onto the fabric or onto your hands if you're applying the steam to a hanging item (called vertical steaming). You might want to wear protective gloves when performing vertical steaming.